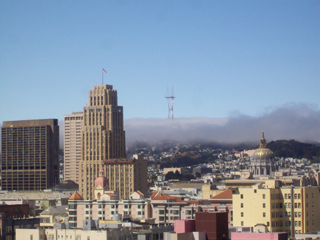 The first stage of our 2009 vacation was a stop in San Francisco. 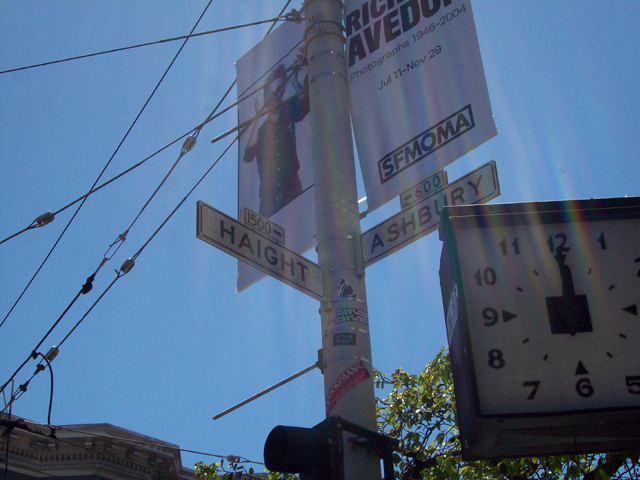 Anne registered for the San Francisco Half Marathon (the first half that crossed the Golden Gate Bridge), so we spent two nights in town. We arrived the day before. After she ran the race, we went for a walk in Golden Gate Park (all downhill to the ocean and a bus ride back up to the car). Later we had dinner in a very nice Italian restaurant. I was also able to do a bit of benchmarking. After a final good night's sleep, we were off to the next leg of our vacation, Yosemite. Prayer Cross in Golden Gate Park. This is a benchmark. 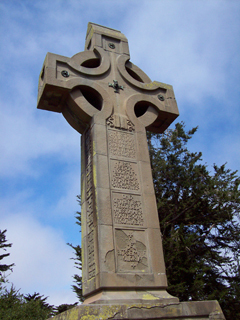 This is NOT the cross in Dirty Harry. 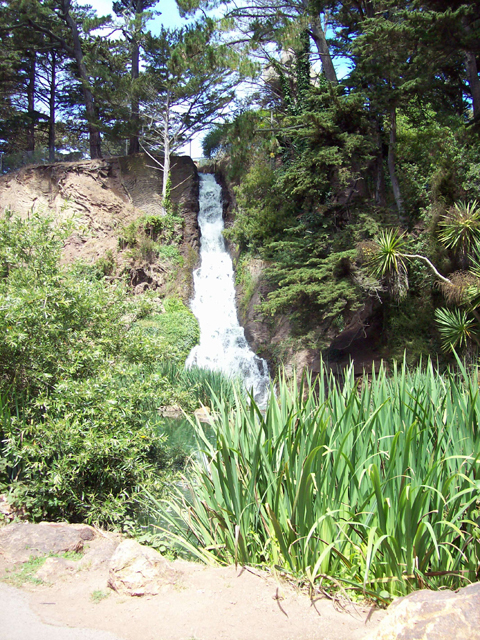 Man-made waterfall in Golden Gate Park just below the Prayer Cross. 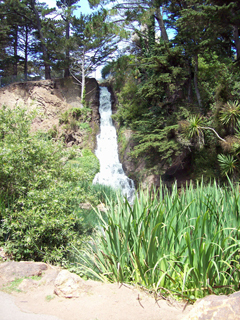 There is also a small lagoon and a faux stream that runs through half of the park supplying one of the smaller lakes. 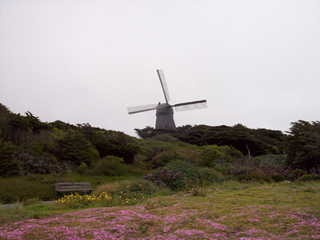 The north Dutch Windmill. This is a benchmark. The south windmill is under restoration and was not there when we visited. The view from our hotel room. The city hall dome and the flagpole on the building to the left are both benchmarks. The fog had begun to clear by the time I took this picture. 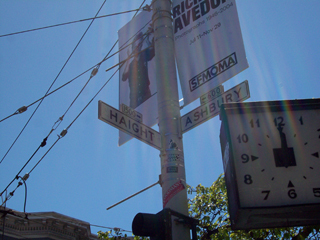 We also stopped at Haight-Ashbury. The place is such a tourist trap. The psychedelic aspect of the picture was purely accidental. Also, maybe it is always noon there.